In the latest issue of Weekly Famitsu, Octopath Traveler developers Masashi Takahashi (Square Enix), Tomoya Asano (Square Enix), and Keisuke Miyauchi (Acquire) discussed about the future of Octopath Traveler and Business Division 11, the department that made Octopath Traveler and Bravely Default. When asked about paid DLCs, Asano said Square Enix has not changed its previous stance – the company has no plans to make paid DLCs for Octopath Traveler and would rather spend 3 years to make a sequel to Octopath Traveler. If a sequel to the game is made, it’s going to take awhile. They prefer spending 3 years to make a game that’s full of content, than 1 year for a game that lacks content. 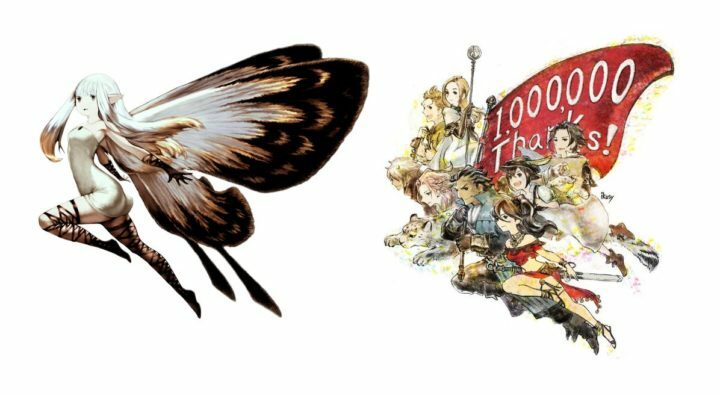 Also, Asano and Takahashi had something to say about the congratulatory artwork which resembles Airy from Bravely Default. Asano revealed he asked Naoki Ikushima, the character illustrator, to draw it that way. They wanted to reassure fans the Bravely series is “not a thing of the past”, and hope fans will look forward to what Business Division 11 has in store.